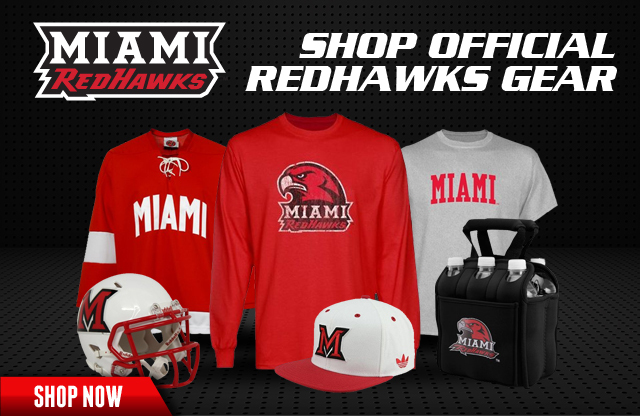 Find a store near you that carries Miami gear. Can't find a store close by? Check out all of our online retailers below. 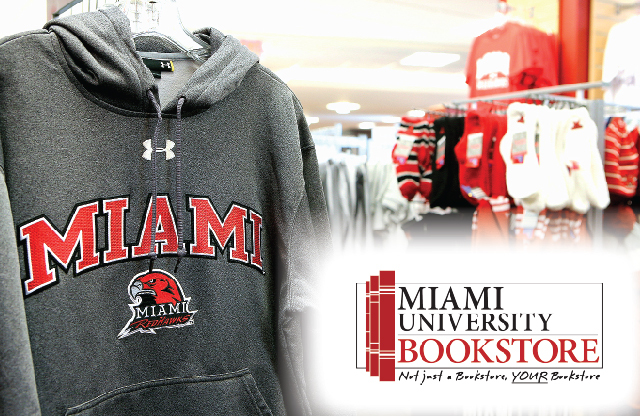 Are you a retailer carrying Miami University product and want to be added to our list? 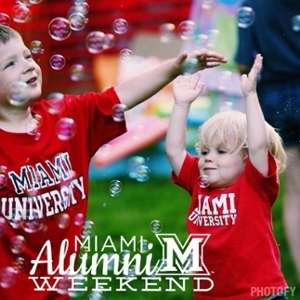 Email laura.driscoll@MiamiOH.edu with details. For Love and Honor is two-thirds photo book and one-third history book. Every page is meant as a tribute to the love we hold in our hearts for our college days and the honor we feel in having led such a life in such a place. These books are now available in the following locations: University Bookstore, Follett's Miami Co-Op Bookstore, DuBois Bookstore, Shop.MURedHawks.com, The Apple Tree Boutique and Booksellers on Fountain Square. Miami University has teamed up with the national organization Operation Hat Trick (OHT) to sell co-branded sports caps with the proceeds supporting Miami scholarships and soldiers. OHT works with U. S. military veterans in their recovery, training and education. The hats are available at the University Bookstore, Goggin Pro Shop, DuBois Book Store, Follett’s Miami Co-Op Bookstore and online at shop.muredhawks.com. The primary objective for the OHT program moving forward is to build support and funds for our soldiers and veterans seeking medical treatment in VA medical centers. We are honored to participate in the OHT program and believe Miami fans and supporters will want to support the program by buying co-branded caps. 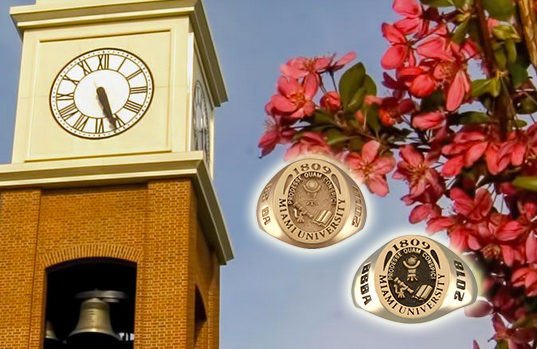 Recognizing the need for an ongoing symbol to represent the honor and traditions of the University, Balfour along with the Alumni Association, has created the Official Class Ring of Miami University. 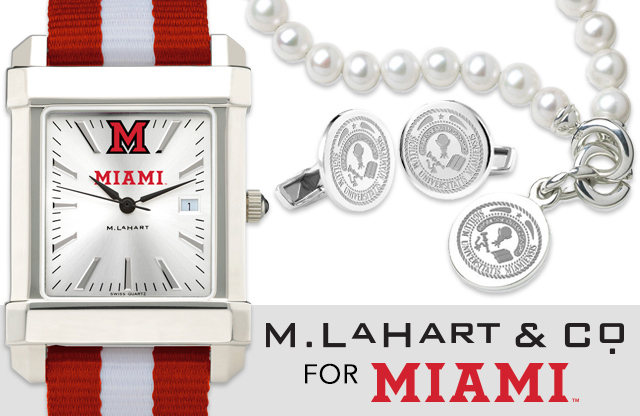 They have distilled the essence of Miami into a classic icon that identifies the wearer as a person of excellence - an individual of integrity and leadership - a graduate of Miami. Each men's and women's ring symbolically captures the essence of Miami University with the University's Seal carved into the ring. First drawn in 1826, the Seal contains the motto Prodesse Quam Conspici, "to accomplish rather than to be conspicuous." The open book represents accumulation of knowledge, the globe represents the world of the present, and the telescope symbolizes probing the future. Wear the ring and carry all the Seal's many meanings with you. The Official Class Ring is available exclusively to enrolled students who have completed at least 64 credit hours and achieved junior or senior standing. 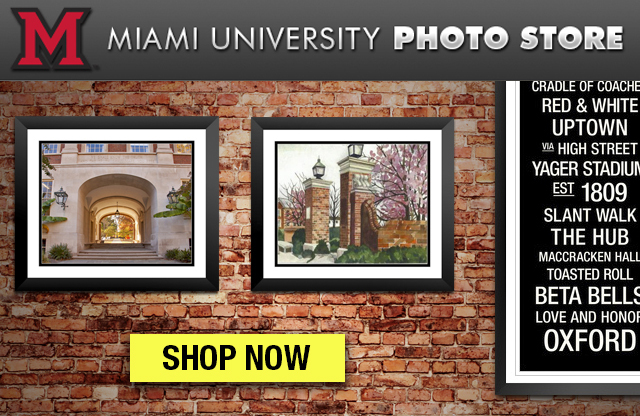 It is also available to all graduates of Miami University. For more information visit Balfour. Photofy is a free photo app and available for iPad and iPhone on the App Store and Android App on Google Play.